Hello, People. 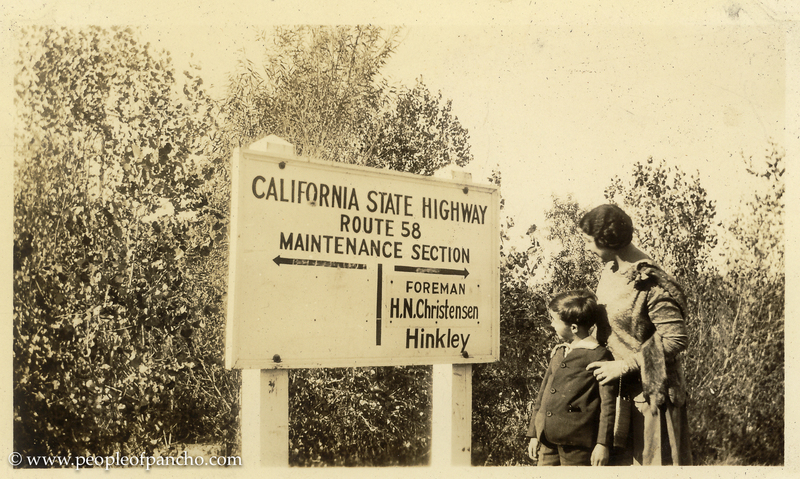 Today I’m sharing the next installment in the Lessiack family travels, this time to the Golden State in 1927. 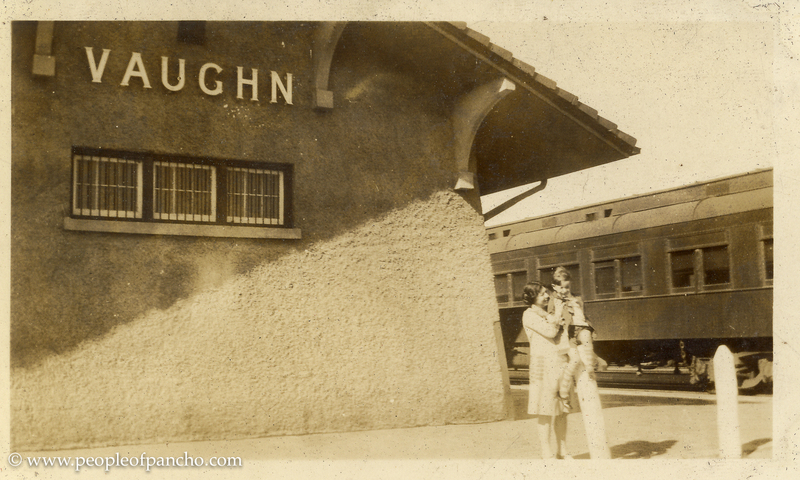 I’m very fond of these photographs because I’ve lived in the San Francisco Bay Area for almost 30 years now, and it’s such fun to see old images of places that are now very familiar to me. 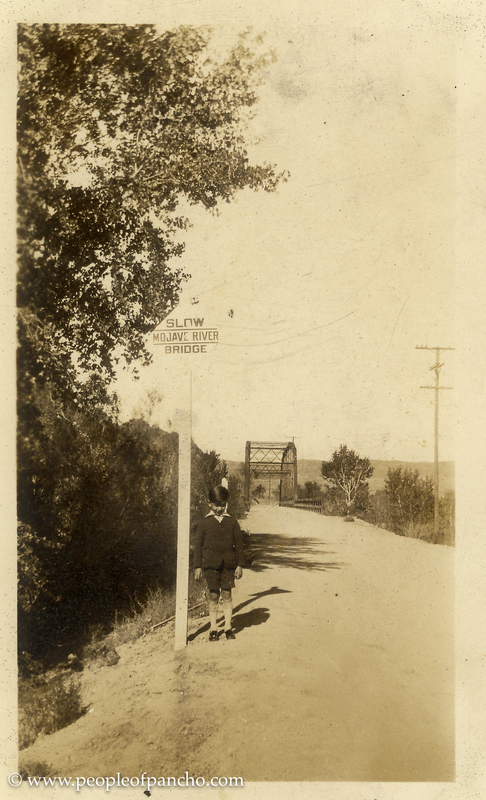 The Bay Area is every bit as beautiful now as it was then, though quite a bit more crowded and expensive. 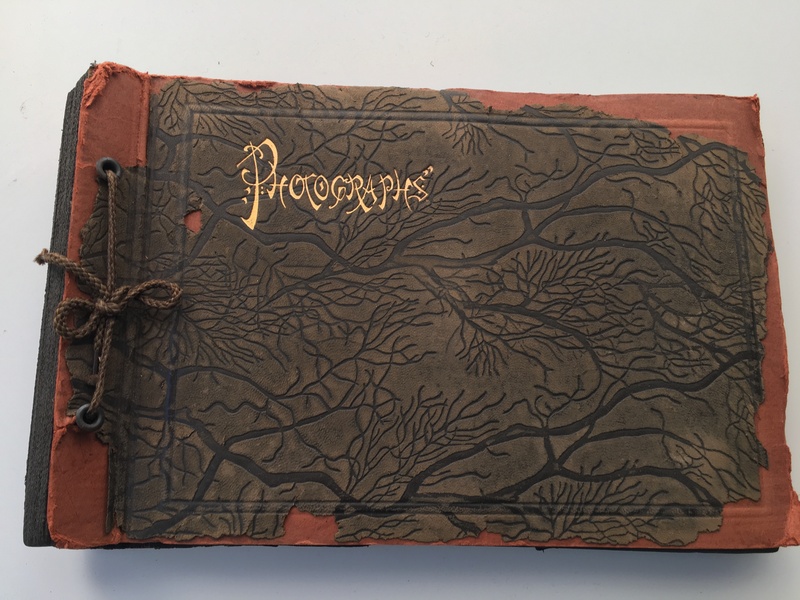 Most of the photographs in this post came from this beautiful but fragile and crumbling old black paper album, and my great-grandma Margaret provided captions for most of the images. I am so grateful that she took the time to do that. Friendly reminder: please do your descendants a favor and go label some photos today. 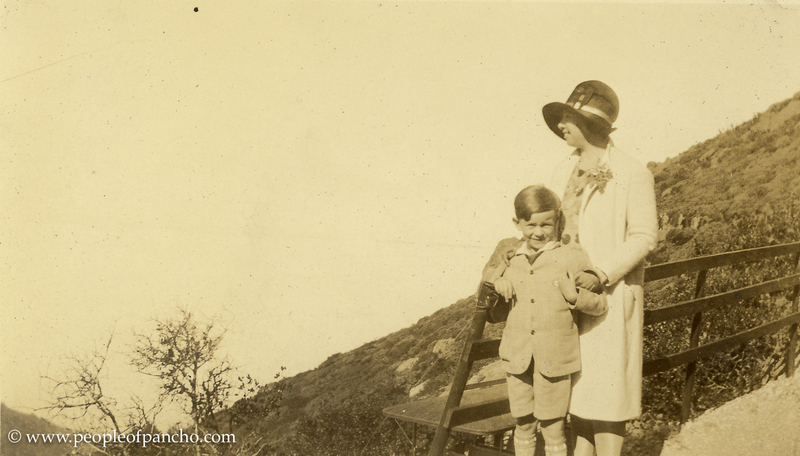 Great-grandma Margaret and Grandpa Bob (who was six years old on this trip) at “Vaughn, New Mexico, Sunday, Nov. 13, 1927.” Great-grandpa Leo doesn’t appear in many of these photographs, so I presume that he was the photographer in most cases. It’s fun to look at the world through his eyes. 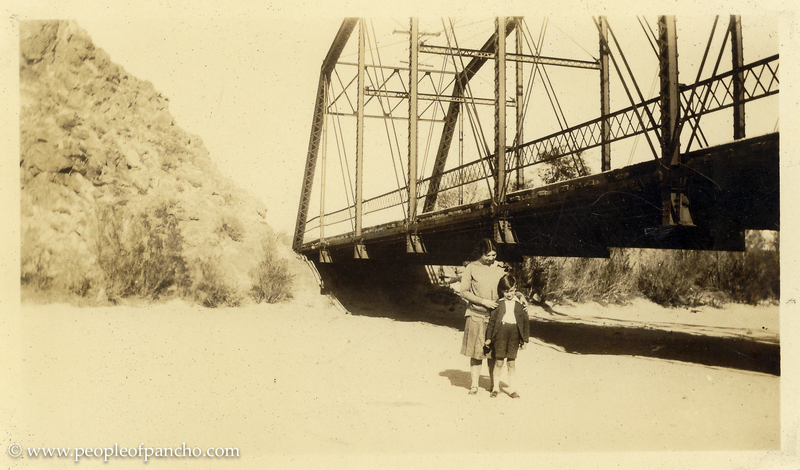 Grandpa Bob at the “Mojave River Bridge at Barstow, Cal, Nov. 14, 1927.” Barstow is located 55 miles north of San Bernadino, CA. Next stop, the San Francisco Bay Area, my current stomping grounds. 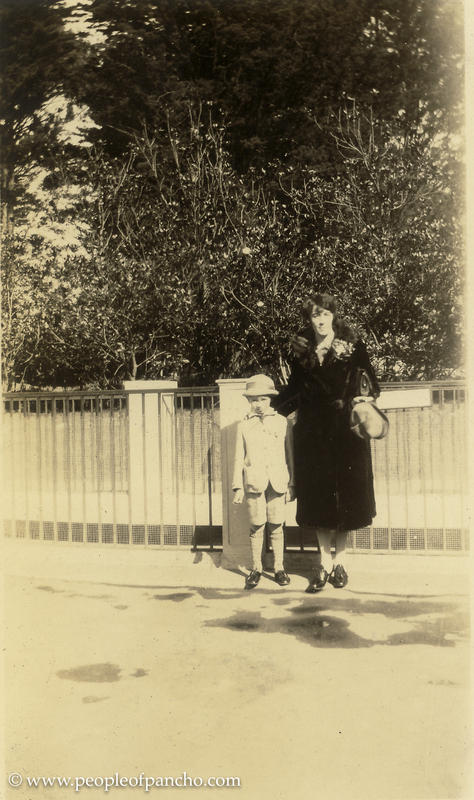 “Robert, Mrs. Carlson, Steinhardt Aquarium, Golden Gate Park, Nov. 16, 1927.” I don’t know who Mrs. Carlson is; a local friend or wife of a business associate of Leo’s, most likely. I spent many happy hours at Steinhardt Aquarium with my own children, so this photo really touched me. “Windmill Golden Gate Park, Bring water from Pacific for lakes in park. 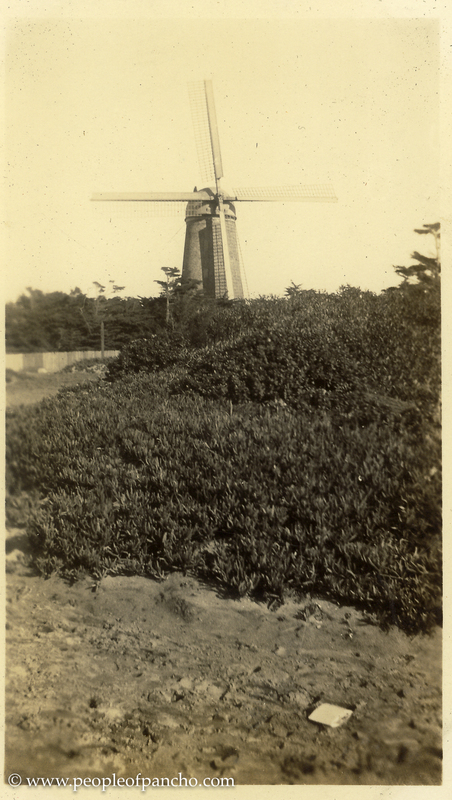 Nov. 20, 1927.” The windmill is still very much standing and visible today. You can see it when you drive by on the Great Highway. 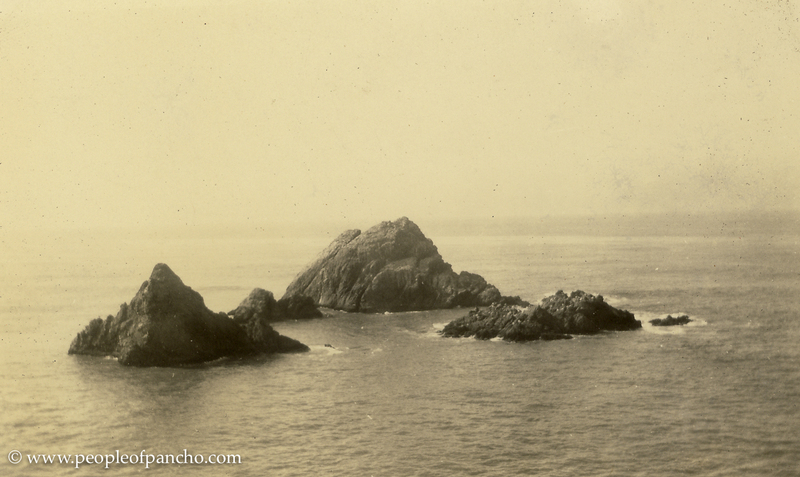 “Seals Rock, San Francisco Bay, Taken from Cliff House, Nov. 16, 1927.” The Cliff House is still around serving meals and beautiful views. And here I must digress for an embarrassing personal story. 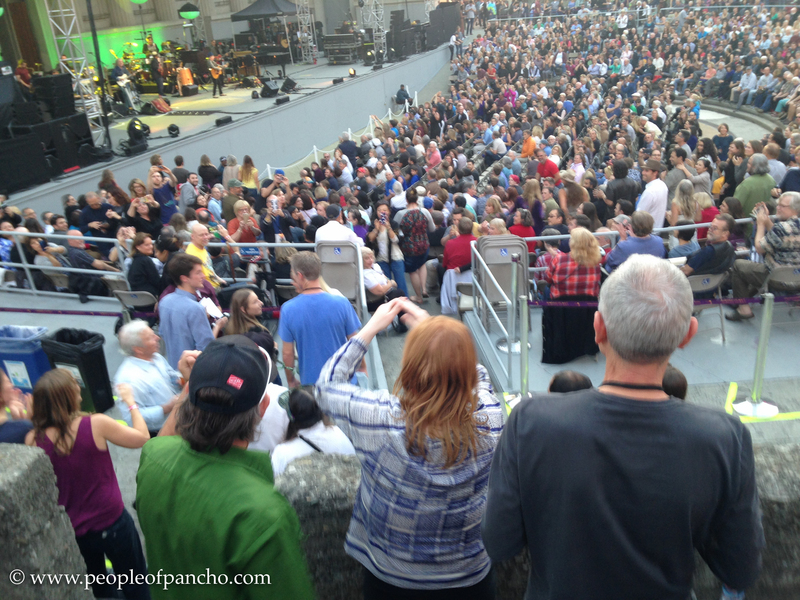 The Greek is still a very active concert venue, and my husband, younger daughter and I were lucky enough to see Paul Simon play there in 2016. 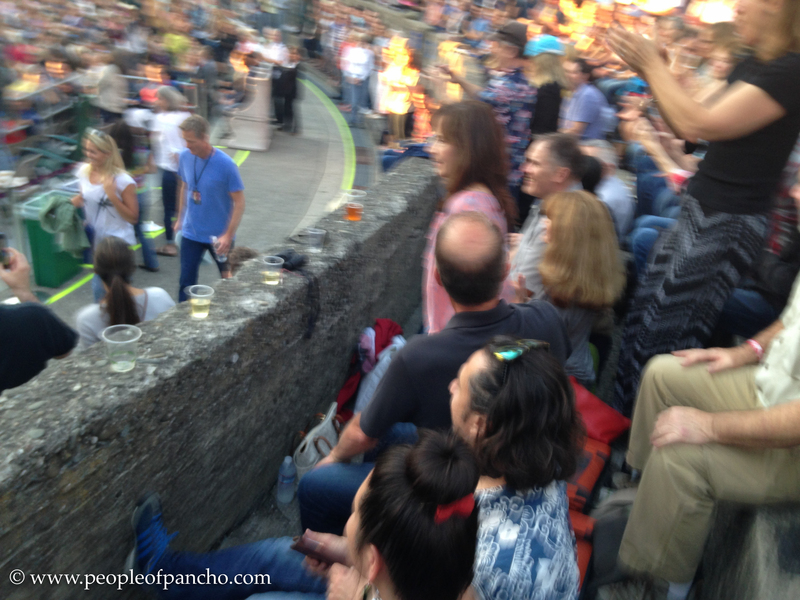 Not long after the legendary Mr. Simon had opened the show and launched into his second or third song, there was a distinct disruption in the audience right in front of where we were sitting. It turns out that Steve Kerr, coach of the Bay Area’s own NBA championship team, the Golden State Warriors, had entered with his family a little late, and they were trying to quietly find their seats without causing a ruckus. Fat chance. The audience erupted into echoing chants of “Waaaaaaaaaaaaaaaaaarriors! Waaaaaaaaaaaaaarriors! Waaaaaaaaaaaaaarriors!” totally drowning out Paul Simon for a good five minutes. Now, here is the embarrassing part. You have to understand that the team made it to the championship finals (ultimately losing to the Cavs) that year, and you have to know what kind of Warriors fans we are. 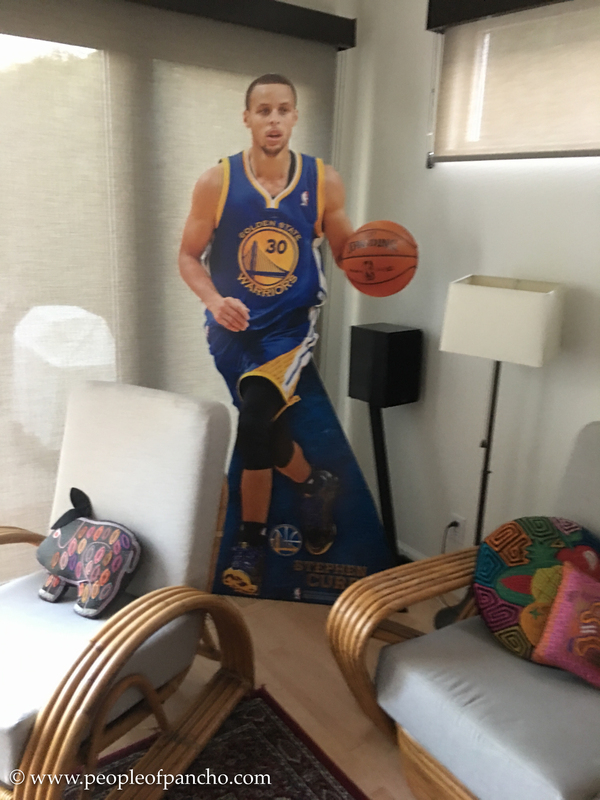 We practically have a shrine to two-time MVP Steph Curry in our living room during basketball season. We look at Steve Kerr on TV a lot. So, when Steve Kerr (in the bright blue T-shirt) walked right in front of us at the Greek, I did not, shall we say, maintain my dignity. “Steeeeeeeeeeeeve!” I screamed. “Steeeeeeeeeeeeeeve!” as if the poor man would know and recognize his dear old friend Pancho. Well, I was not alone in acting the fool because it took the crowd a solid five minutes to quit screaming “Steeeeeeeeeeeeeeeeeve! Over here! Look over here! Waaaaaaaaaaaaaarriors!Waaaaaaaaaaaaaarriors!” Paul Simon finally gave up and just let it happen because he clearly wasn’t going to be able to get a song in edgewise. When the Kerr family was finally seated and the crowd had simmered down a bit, Simon wryly threatened, “The next time Steph Curry goes to make a three, I’m going to walk onto the court with my guitar and ruin your game,” which of course only caused the crowd to go nuts again. As it turned out, that was also the night that Mohammed Ali passed away, and so Paul Simon announced that sad news, and then closed the show with The Boxer, which left nary a dry eye in the house. 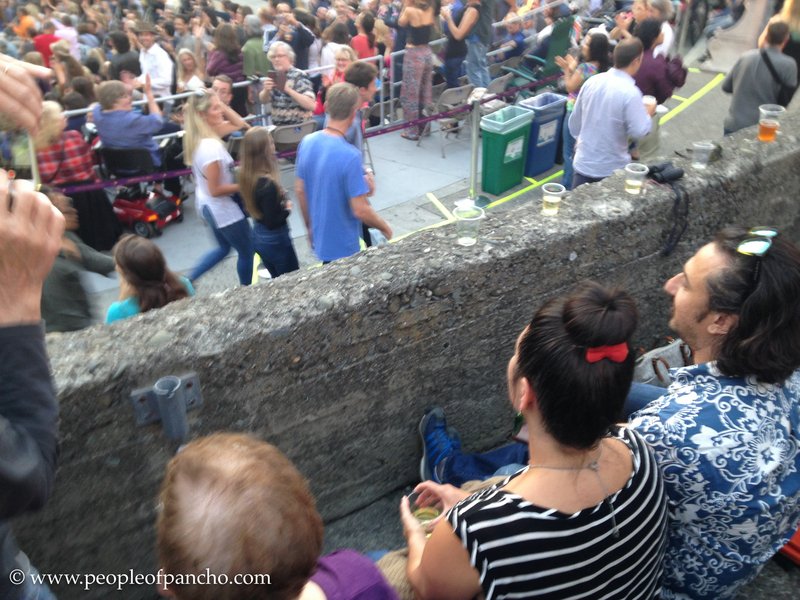 It was an evening of emotional extremes, and utterly unforgettable on both counts. 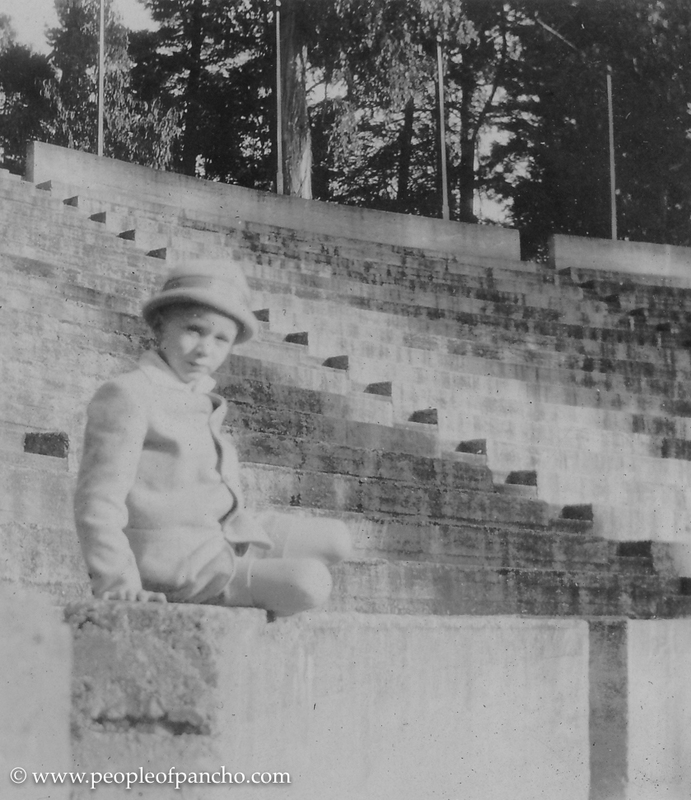 So, now you know why the photo of my sweet Grandpa Bob posing at The Greek makes me smile. We love the Greek. Now, back to great-grandma Margaret’s album. 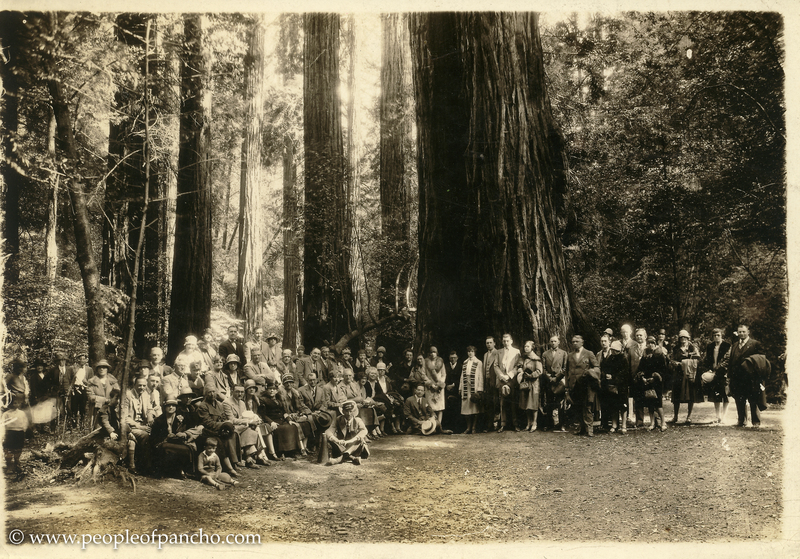 Muir Woods became a National Park in 1908 during the Teddy Roosevelt administration. If you’ve never seen a Sequoia Semervirens up close and personal, do yourself a favor and make that happen, and if you’re not already a tree-hugger like me, these magnificent trees will turn you into one. They are simply awe-inspiring, and the largest trees have been around for thousands of years, which puts the whole piddly human experiment into its proper perspective. It’s quiet and magical and timeless in the Muir Woods, and the smell is indescribably glorious. 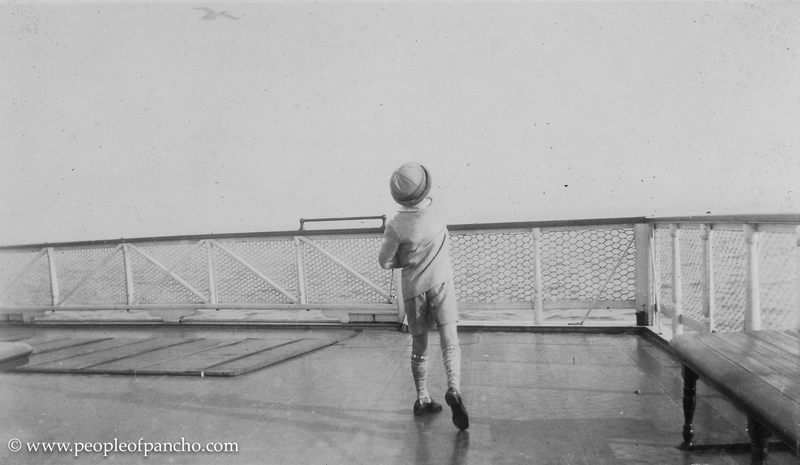 “May 30, 1927 – F. Ransome, photographer at Mt. 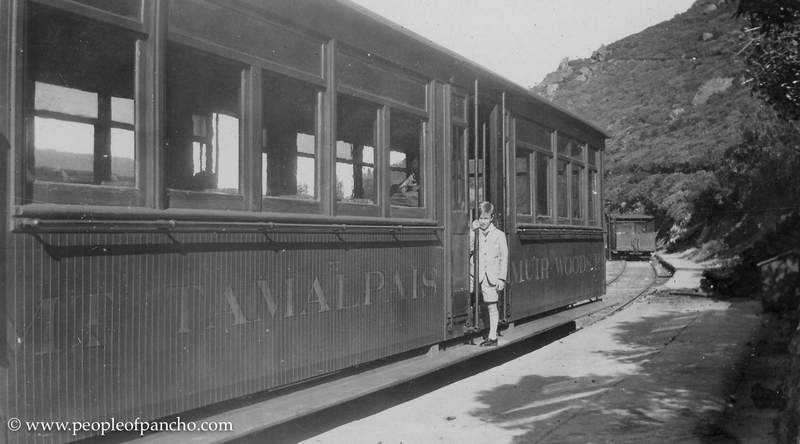 Tamalpais and Muir Wood, California. 5701 Vallejo St. N. W. Cor. Stanford, Ave. Oakland, CA.” I have not succeeded in locating Great-grandpa Leo in this photo, but I think I might see Great-grandma Margaret over on the right not facing the photographer. 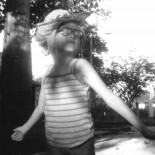 Instead, she’s looking over to the left side of the photograph, where I think I see blurry little Grandpa Bob running around. Maybe Leo was just outside the frame looking after him. 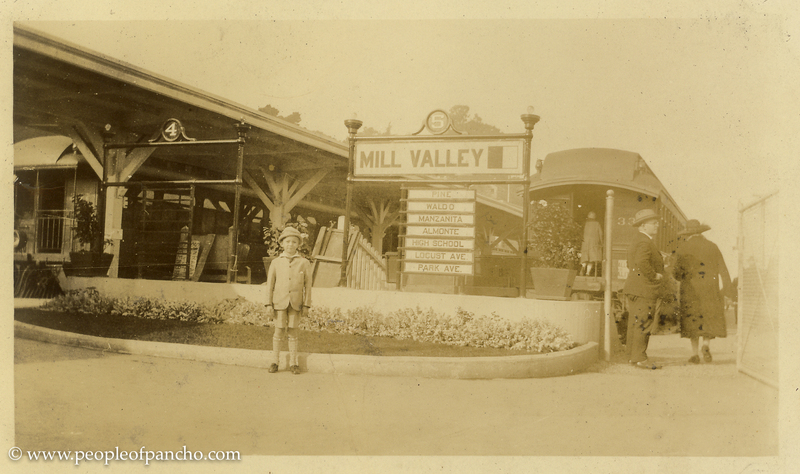 “May 30, 1927 – F. Ransome, photographer at Mt. 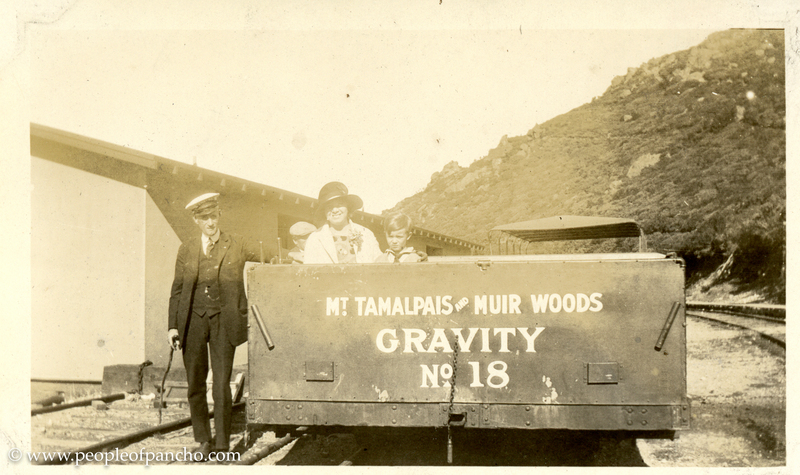 Tamalpais and Muir Wood, California. 5701 Vallejo St. N. W. Cor. Stanford, Ave. Oakland, CA”. Great-grandpa Leo made it easy to find him in this shot. Here’s my favorite shot in the whole bunch. 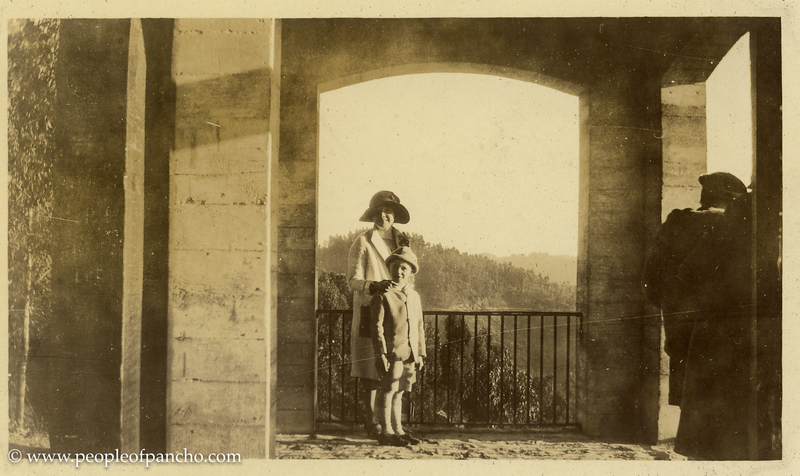 Great-grandpa Leo, Grandma Marrgaret, and Grandpa Bob in the Muir Woods, 1927. Next stop on the family trip: Sunny Southern California. Until next time, People. Thanks for visiting. What a wonderful post! I don’t know where to start. 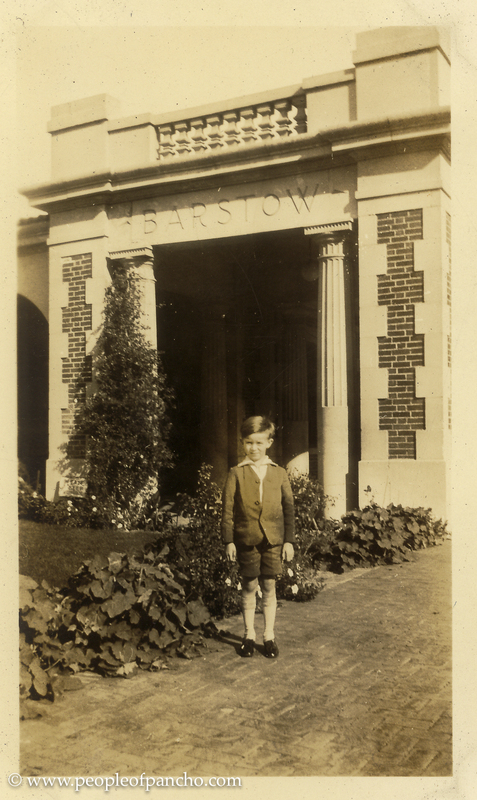 The photographs are just so lovely, and you are the third genealogy blogger in the last week to post childhood photos of a grandparent, making me very envious! 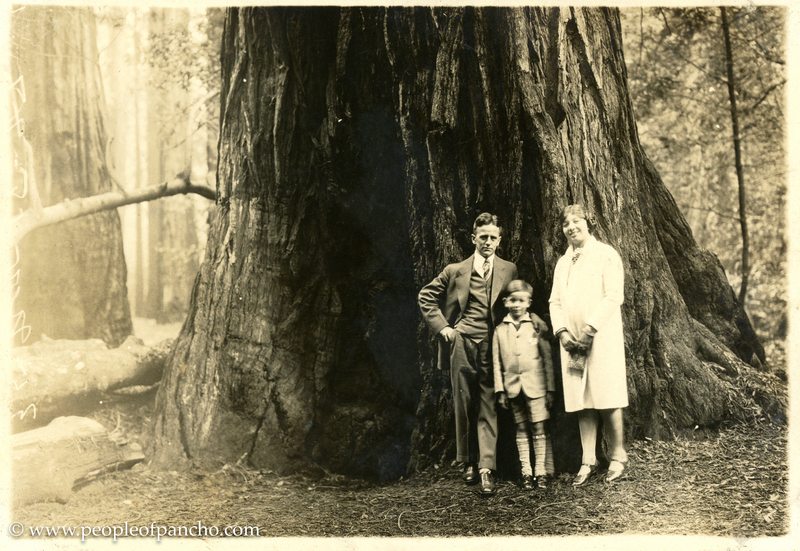 And that one of the family in front of the redwood tree—I think there’s one of me like that from our trip back in 2003. Such majestic trees! And your Warriors story. Yikes! So many things to say. First, I’d never heard of Steph Curry until last week. I read to third graders as a volunteer, and I asked the class who their favorite sports hero was. One child said Steph Curry. I asked if that was a man or woman, and the kids roared with laughter! Silly me…. Second, I once embarrassed my husband and daughter when Jason Varitek, my favorite Red Sox player, walked by us in St Martin years ago. I started talking to him. My husband walked away and went to the men’s room. And my daughter gave me dagger eyes! And third, I love Paul Simon’s response. And I can imagine him singing The Boxer as a tribute to Ali. Very touching. Oh, and the book I read last week to the third graders was about Joe Louis. As long as you didn’t shriek “Jason! Jaaaaaaaaaason!” then you’re still ahead of me in the dignity department. Thanks for the kind words. What a fabulous album — and captioned!!! I’m a bit like Amy’s husband in the reaction-to-celebrity department. The boy-child and I used to go to basketball a lot when he was little, at a time when NZs only team in the Oceania league used to lose a lot. One night after a particularly close defeat, the boy-child was sobbing inconsolably as we were leaving the stadium. The team captain Paul Henare came over to us and was trying to comfort my kid. I was too awed and frankly impressed, to speak more than a bit of gibberish. I ended up writing to the team to say thanks, and they sent us a team t-shirt signed by all the players. Awww. That is a lovely story. I bet they appreciated that. Sooooo enjoyed your Steve Kerr story!!!! Dang Panch, clearly this installment has touched everyone whose read. It warms my heart to read you story. 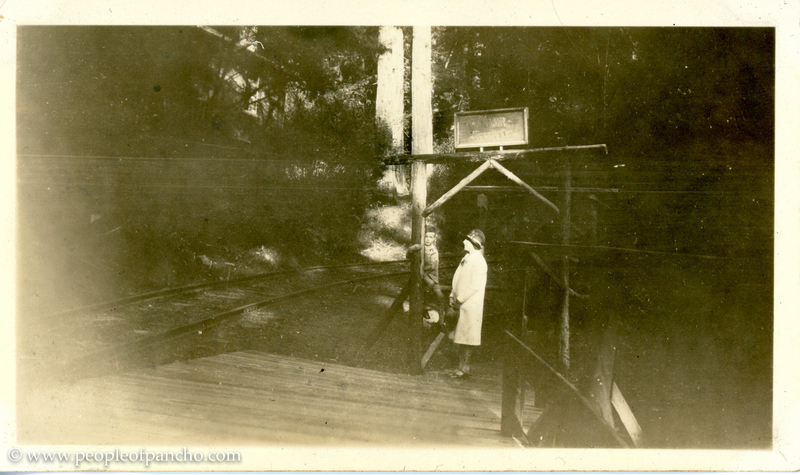 Sam and I once started at Muir Woods and walked the trail to the top of Tamalpais and back. Muir woods. Muir Woods and Paul Simon. I actually wore out my Paul Simon album playing the Boxer over and over when I was student teaching at Lookout Mountain School for Boys. But mostly, when I look at the photos of Bob wearing that hat, I can’t help thinking I’m so glad a ball cap and levis was all that was required on our family vacations. Bob has always been my hero. As are you. Awww, make my day, Lew! Panch, you make me feel like I’ve been on this trip to the Muir Woods with my family. I poured over the big group photo, sure that I would find Grandpa Leo, but I’m not sure I did. I also can’t find the little boy you think is my dad, running around, but I will look at it some more. I, too, love the last photo of my dad and his parents. I also LOVE, LOVE, LOVE your rendition of the Paul Simon concert and the Greek Theater. I had, of course, heard about it from you some time ago already, but reading it and noting how you captured the emotion of that whole amazing experience was so special. Your whole blog is such a mind-blowing, remarkable treasure. I am totally not sure about the big group photo. The person I thought was Margaret is wearing a different hat than Margaret is wearing in the other photos, so I think my theory is wrong. The little kid is a blur, so not sure about him either. The photos are fabulous. I love old California so much. Is Bob an only child? He looks like a little adult in some ways. Also, the Ali and Simon song story really got me. So poignant. It sure was. Everyone in the place was in tears. Yes, an only child, and he wanted multiple children himself because he remembered being lonely. That makes sense. He was probably privy to a more adult world though. Panchy blessings on your Great grandma Margaret. How happy they all are! No wonder Papon was so adorable and why he exuded love with every breath and movement! This post caused me to weep, for all about Papon we or I did not know. I loved Papon so much! My Dad’s childhood was different , yet filled with people who loved him very much and taught him well. I mention this because even though their early lives and growing up to manhood were different they both became phenomenal happy moral men with a strong correct and generous character . They were pillars of their communities. Both my Dad and Papon were called far too young and their absence has affected both our families. He was a dear sweet man. I regret that I never knew your father, but I know that he must have been special to win the heart of the fabulous Elsie! 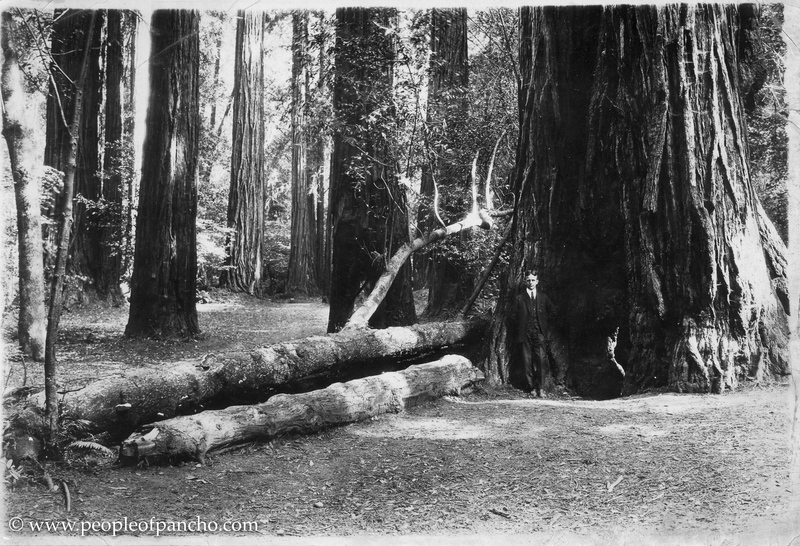 I particularly like the photo of your grandfather and his parents in Muir Woods. That park is such a timeless place. 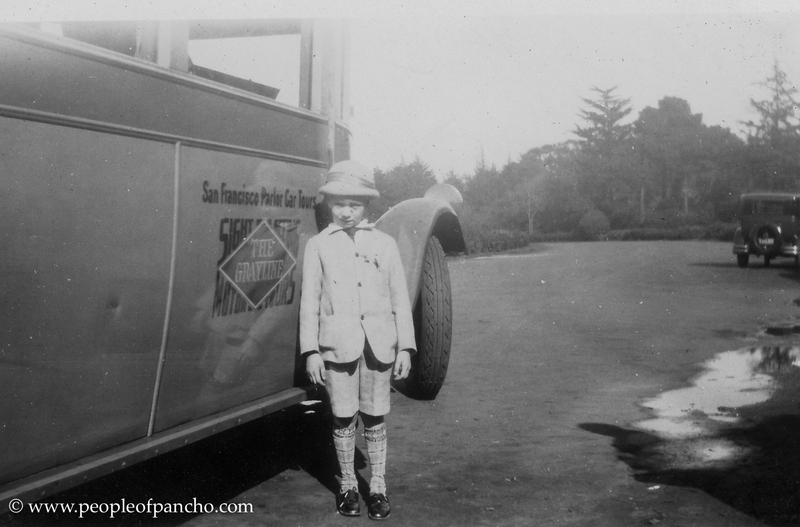 This entry was posted on January 31, 2018 by Pancho in Lessiack People, Spielmann People and tagged Barstow CA, family archive, Family Archivist, family historian, family history, Family History Blog, Geneabloggers, genealogy, Golden Gate Park, Greek Theatre UC Berkeley, Mill Valley CA, Mount Tamalpais, Muir Woods, Steinhardt aquarium, UC Berkeley Greek Theatre, Vaughn New Mexico.